We are delighted to welcome the warmth of May! As we make our way closer to summer, we are reminded of the magic of the farmers market. We find that starting with high quality ingredients is the first step to creating delicious meals. In fact, it’s the same motto we’ve used for years in creating our products – only the best. Shopping at farmers market is a great way to learn your way around the kitchen. What could be more inspiring than buying your food directly from the farmer? And, with a Zojirushi product, you don’t even have to worry too much about cooking it! 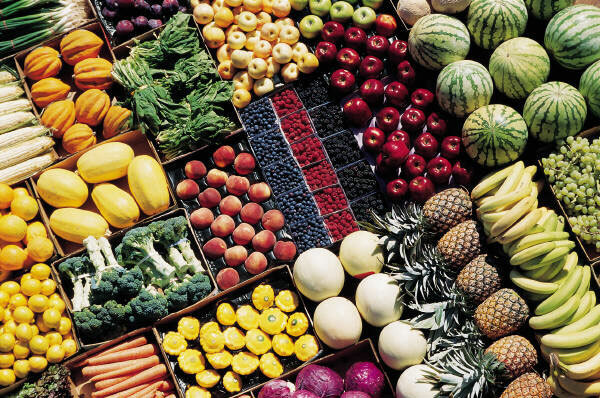 If you haven’t found your local farmers market yet, it’s time to get started. Spring produce is plentiful, and seasonal ingredients often encourage us to become creative cooks. We can’t wait to see all of your market driven creations through Facebook and Twitter. Nothing inspires us more than connecting with you, and seeing how you use our products. Wishing all of you a happy and delicious May! There are reasons why each month gets its name in Japan. May in Japanese is 皐月, pronounced ‘Satsuki’, meaning “the time to plant rice seedlings”. Satsuki is a wonderful example of how the meanings behind the name of each month in Japan are connected to the seasons and the events. While some months have a more metaphoric interpretation, May is a literal translation. Another unique tidbit about Satsuki is that it’s a common name in Japan for girls. 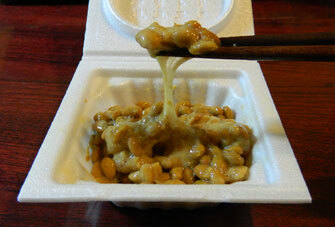 Natto is a fermented soybean, but don’t let that deter you from trying it. It is one of the best sources of protein and is filled with rich nutrients that are said to prevent blood coagulation, enrich skin and balance cholesterol levels. The process of making natto is very unique. After the beans are washed and soaked for about half a day, they go through a steaming process. From there the beans are mixed with a bacteria culture– this is similar to how certain yogurts and cheeses are made. The total fermentation process of aging the natto bacteria takes up to 24 hours. Then it is placed in a refrigerator to be cooled. Natto has a very unique texture almost like a sticky paste, and a strong scent and flavor due to the fermentation process. It is a common breakfast item in Japan – usually eaten with rice – that is often consumed in a small, white container with yellow mustard and natto sauce. Sumo is known throughout the world for its wrestlers engaging in a full-contact physical sport, and is one of the few sports that are professionally practiced only in Japan. So what is sumo? It is a wrestling match consisting of two large men facing off in a round ring, called dohyo, with the objective to force the opponent outside of the ring. Wrestlers are not allowed to touch any of his body part to the ground except for their feet. With its long history, several elements of traditional Japanese culture and customs remain within the art of sumo. The most noticeable is the outfit. During the match, rikishi (wrestlers) wear his hair in a topknot, while the gyoji (referee) wears a silk outfit resembling the style of samurai during the Edo period (1603-1868). Prior to the match, rikishi throw salt into the ring as a form of purification, as the dohyo is considered a sacred place – much like the ritual of salt purification within the Shinto religion. The life of a sumo wrestler is quite interesting. They live in a communal living environment called heya which are “training stables”, along with their trainers and assistants that help them with everything outside the ring – from tying their hair into topknots to preparing their wardrobe. Practice begins at 5am and ends before noon. After practice is breakfast! Sumo wrestlers only have two meals per day and have a specific diet called chanko which includes a variety of stews and fish. After breakfast is free time, but many wrestlers take naps to get bigger. So are you ready to eat like a sumo wrestler? We have for a special Chanko recipe that comes straight from the sumo kitchen! Now just because you eat the same dish as a sumo wrestler doesn’t mean you’ll take on their stylish figure. It would take a whole lot of chanko for that! 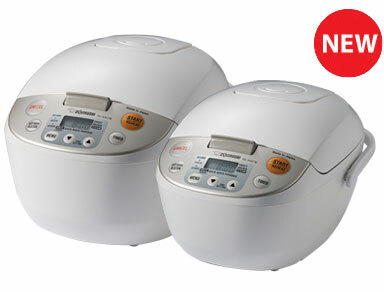 Our new Micom Rice Cooker & Warmer NL-AAC10/18 is the perfect rice cooker especially for novices. It comes with micro computerized Fuzzy logic technology that delivers consistency in cooking delicious rice every time. It is loaded with multiple menu settings including steam setting. 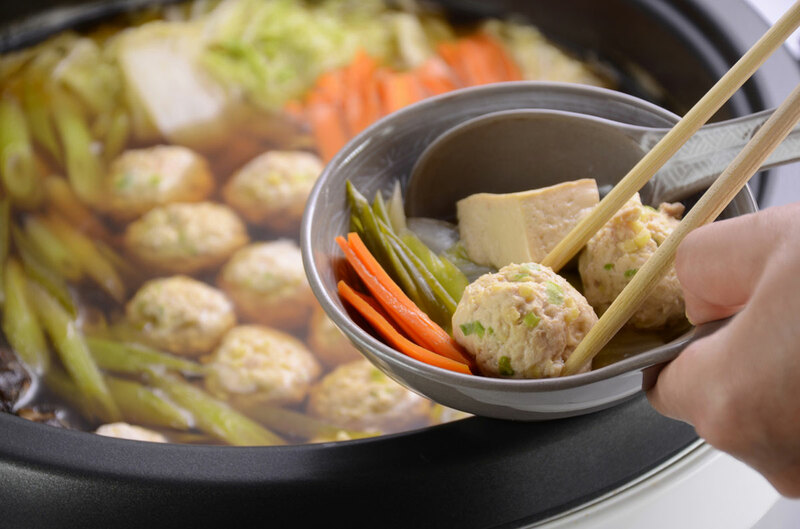 Yes, you can use it to steam vegetables, fish and dumplings too! The automatic keep warm function will keep your rice warm and ready to eat, when you’re ready for a meal!